Hotels in Sofia - Slavyanska Beseda Hotel in Sofia. Sofia Hotels - Slavyanska Besaeda hotel. Book Slavyanska Beseda Hotel in Sofia. 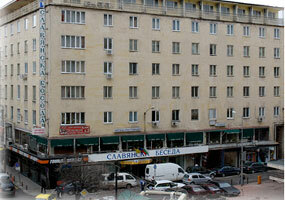 Location: Hotel Slavyanska Beseda is situated in Sofia Downtown. 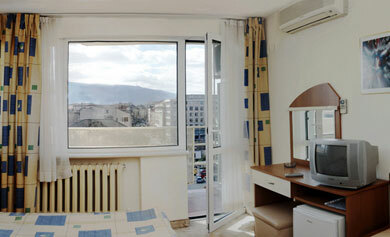 It is close to Central Government offices, Bank headquarters, Art Galleries, Theatres and Cinemas. The hotel was built in 1935 and since then due to its excellent location, reasonable prices, the standart of service has won many clients from all over the world. Dining: Chinese restaurant: 80 seats. Hotel Facilities: lift, post box, security, safe deposit boxes, telephone, information and money exchange, room service, barber shop, laundry and dry cleaning, restaurant, bar, private party catering, shop, business-meeting room, guarded parking. To ensure guests' comfort the hotel provides a nice restaurant, room service, hairdressers, a gym room, a souvenir shop, a post office, currency exchange, safe deposit boxes and information services. 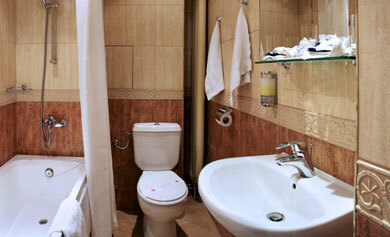 Room Facilities: satelite television, telephone, minibar with fridge, private bathroom/ toilet, bathtub, balcony. 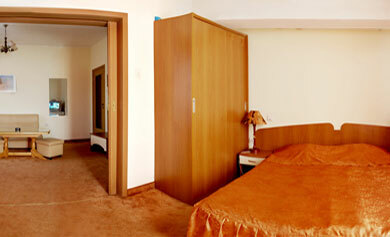 Accommodation: The hotel offers 80 rooms and 6 siuts. 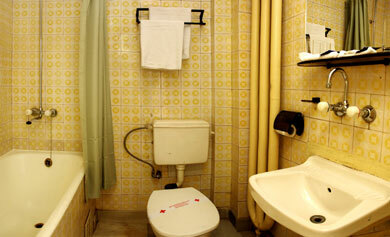 The room facilities include private bath, mini- bar, telephone, satelite TV. * Please note that all guests of Slavyanska Beseda Hotel made reservation through this web site use for free Internet access.